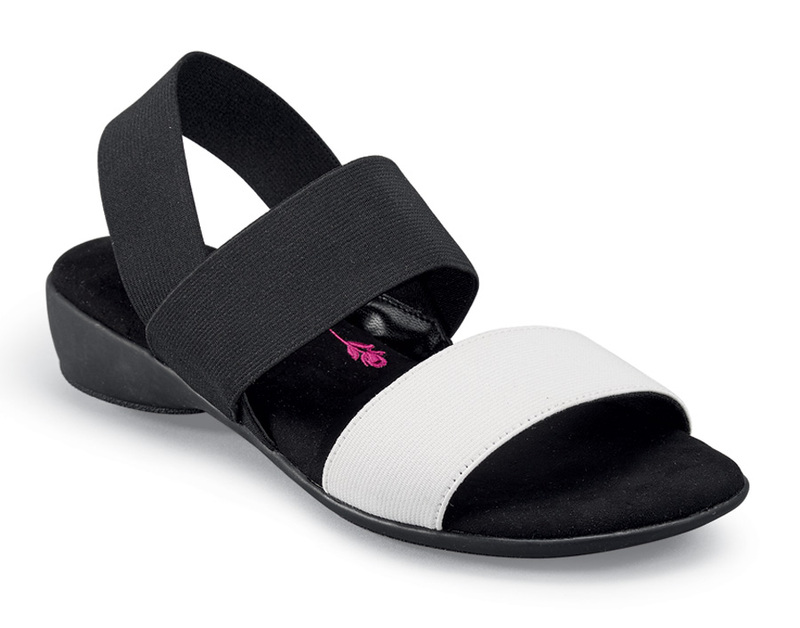 The smart “Melissa” sandal from Ros Hommerson has a broad white elasticized band at instep and and black ones at ankle and heel, so they go on easily and hold the foot comfortably and securely. A thick layer of Memory Foam cushions the footbed. 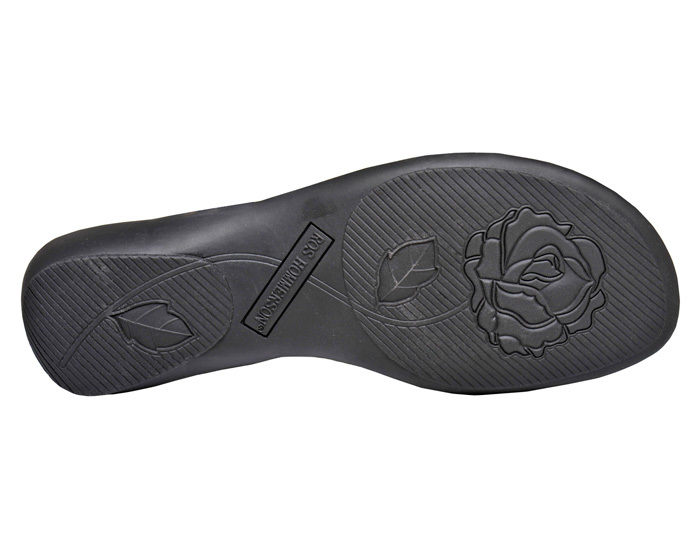 Flexible rubber outsole has one-inch heel height. Originally $69.95. Limited stock in women’s 2E width in sizes indicated.